In the wake of third ongoing India-Africa summit, nearly 200 civil society organisations from India and Africa urged their leaders to achieve a concrete outcome at forthcoming meet of World Trade Organization (WTO). The WTO has 160 member nations and deals with rules of trade between nations to facilitate business, by easing of worldwide custom rules to facilitate trade. 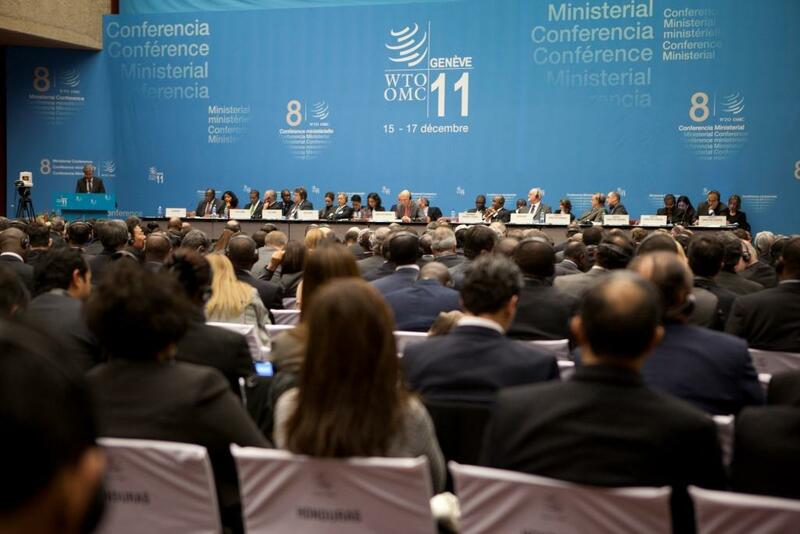 The forthcoming 10th ministerial conference will take place in Nairobi, in December. In joint statements, these organisations call upon their leaders to ensure a balanced and development-friendly outcome at meet. The organisations expressed their deep disappointment over not addressing of key concerns of poor and developing nations in every previous meeting. Their joint statements, released by the organisations, urged that the success of the outcome should focus on Global South. The letters reminded the leaders about their commitment at “WTO’s Doha Development Round 2001” in which it was mandated to address core development issues faced by Global South. The “success” of the meet, according to the organisations, will be meaningful only if it delivers on key development objectives of the South, that include the interests of the people in Africa and India and benefit all people in the developing world. “If it can’t, it is of no interest to us,” they urge. Justus Lavi Mwololo of Kenya Small Scale Farmers Forum (KESSFF) said that African leaders must ensure to protect interests of the poor countries and their marginalised producers. “African leaders must ensure that the Nairobi Ministerial does not conclude without having met this objective. In particular, it must take into account the interests of the poor, the small producers and marginalised groups” says Mwololo. In the joint statement, Yash Tandon, chairman of Southern and Eastern African Trade, Information and Negotiations Institute (SEATINI), Uganda, Zimbabwe and Kenya, expressed its fear that developed countries will again try to end Doha round in Nairobi without any credible outcome. “This must not be allowed to happen,” says Tondon. The letter has been signed by 119 organisations and individuals in India and 71 organisations from across Africa.